Ken Dillon says the T909 is the best Kenworth in his small fleet. 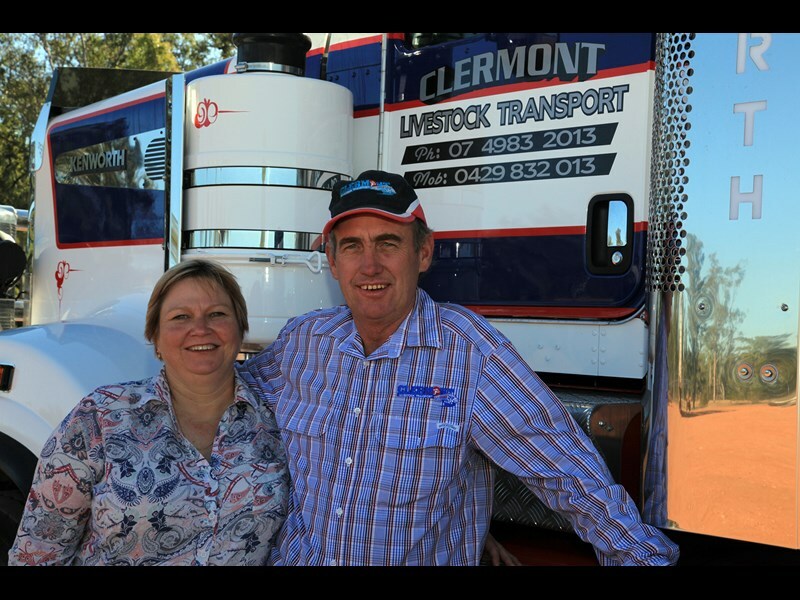 Rhonda and Ken Dillon operate Clermont Livestock Transport. Ken Dillon has made the transition from company driver to small fleet livestock haulier. Ken Dillon has done his fair share of driving for other operators. Today, however, Ken and his wife Rhonda own a small fleet under the name of Clermont Livestock Transport. Located in central Queensland, the three trucks in the fleet are all Kenworths: a T909, a T904 and a T908. The newest, the T909, is powered by a 600hp (447kW) ISX E5 Cummins. "The 909 is definitely the best yet…It’s a real driver’s truck, I’m rapt with it," Ken says. The T909 is in stark contrast to the truck Ken started with when he was 17. 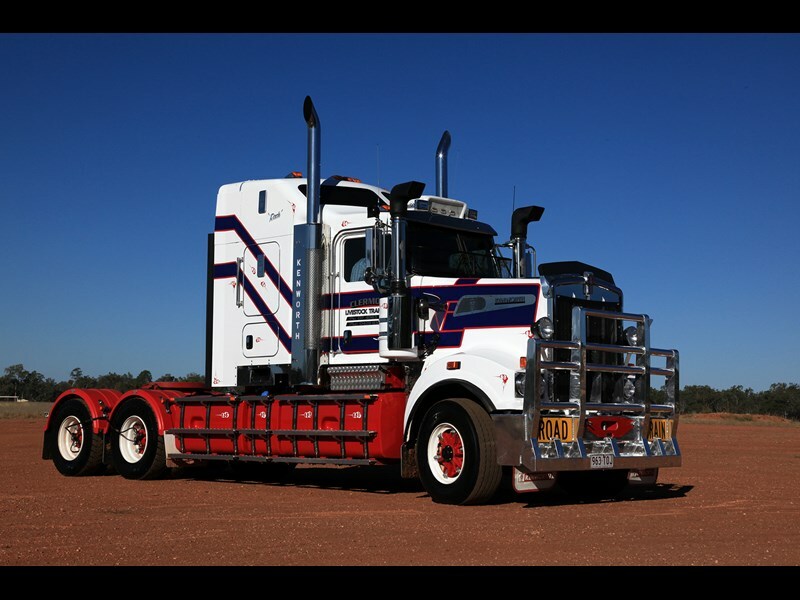 "The truck was an S-Line that I drove for my cousin, a tractor, doing singles and then on to road trains," he recalls. After going bush for a while, Ken came back to Clermont. He drove for McIver Transport for 18 months before spending 11 years with VJ & J Appleton. "It was hard yards back then. There was so much work and there was never any downtime. It was just go, go, go, which for a young bloke was all a big adventure and very exciting," Ken says. "You learnt a great deal, the roads weren’t what they are today and it was a case of using your initiative and solving the problems as they presented themselves." Ken entered into a business partnership with a colleague, Dan Mayes, in 2005 and purchased a new Kenworth T904 and a set of Haulmark crates. 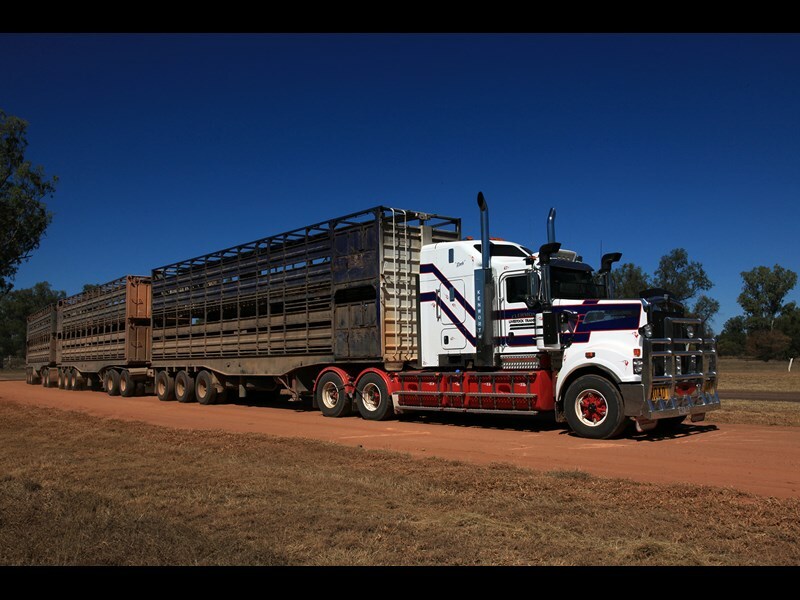 Ken subsequently bought Dan’s share of the business and now operates as Clermont Livestock Transport. Ken believes there are more cattle within the 500km radius of Clermont than the rest of Australia. "Let’s put it this way, it’s a good place to be if you want to cart cattle as it’s a very productive area," he says. While the majority of Ken’s work is in Queensland, he is happy to travel wherever the cattle need to go. "I do avoid the southern states, our gear is a bit big and heavy but we do work up into the territory and gulf," he says. Ken makes no secret he is a Kenworth man through and through. He recalls a recent encounter when he was heading into town and came across two blokes taking photos of his truck. The men were there for a photoshoot of a new Mack Super-Liner but decided to take a few shots of Ken’s truck as well. He recalls one of the photographers commenting the Kenworth looked so good coming towards them that they wanted to turn the Mack around and do the same thing. "I piped up and said: ‘you’ll never make a Mack look anything like a Kenworth’." You can read the full interview with Ken Dillon in the September edition of Owner//Driver magazine.